The generosity of friends of Scouting continue to enable us to provide quality programing and maintain or enhance our facilities, Here are some recent gifts. 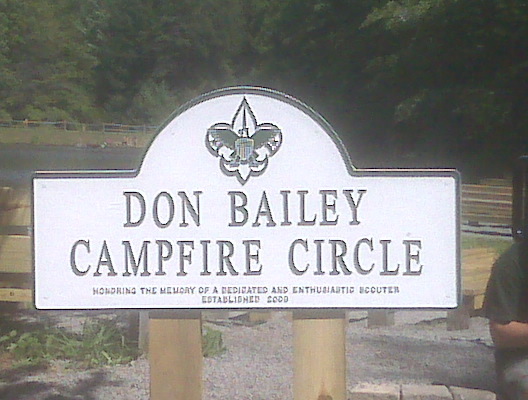 May, 2009, Dedicated July 17, 2009 -- Mrs Donald (Doreen) Bailey, her children Donald, and Debbie, along with several friends and associates donated funds for renovation of the Campfire Circle at Seven Mountains Scout Camp Don was a great friend and supporter of Scouting having served as Scoutmaster, District Leader, Executive Board Member and Juniata Valley Council President. 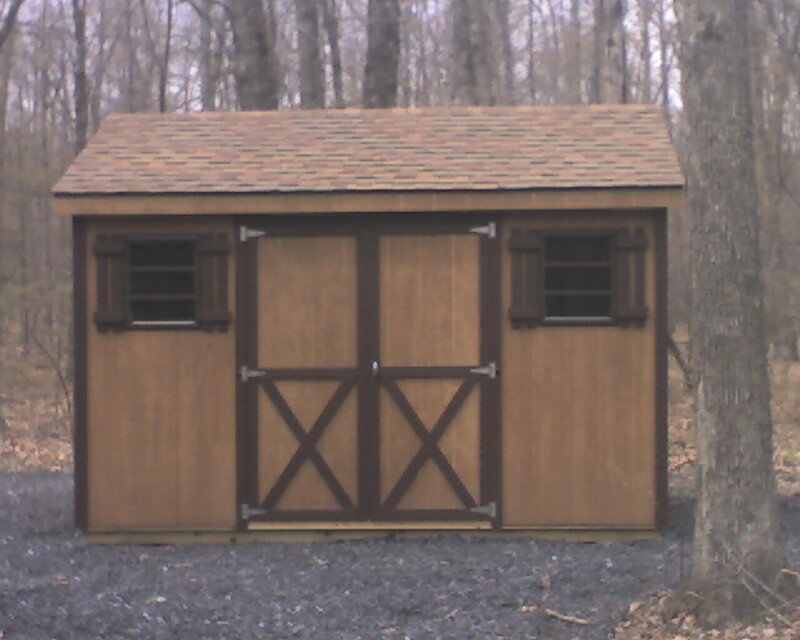 May, 2008 -- John Halderman, son of the late Sammy Halderman donated a 10x12" Storage Shed for the new Scoutcraft area to honor his father and his commitment to the Juniata Valley Council, BSA. 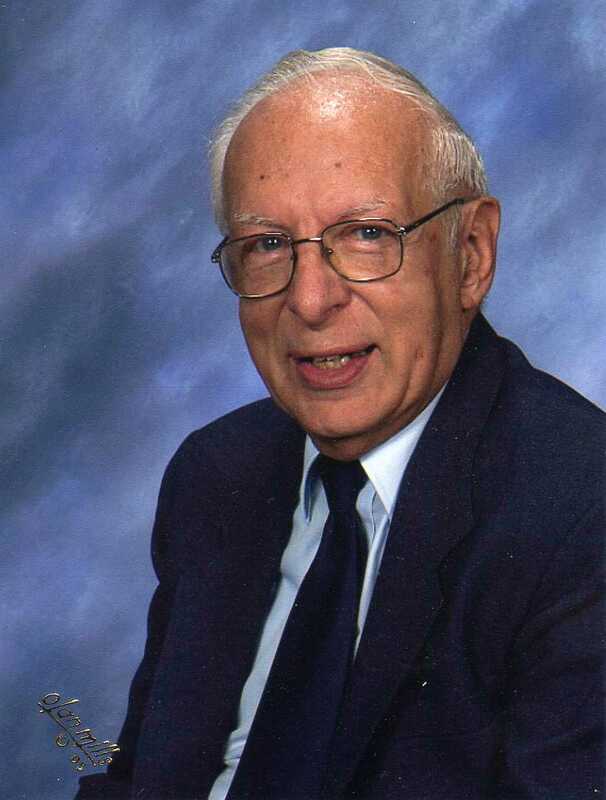 In November, 2007, Executive Board member Dr. David Maneval announced the formation of a grant through the Centre County Community Foundation to support the Juniata Valley Council, Seven Mountains Scout Camp Environmental Center. Dr. Maneval's gift ensures our Nature Staff will be will receive training and have the necessary supplies to work with Scouts and the community. In 2007 -- Thanks to a gift from the Estate of Al Dole and designations by the Executive Board the roof on the dining hall was replaced in the spring of 2007. The Monaken Lodge underwrote the replacement of the roof on Rimmey Lodge and a gift from Bob Watts enabled us to replace the roof on the Council Service Center. Buck in the fall of 2005 climbed Mt. 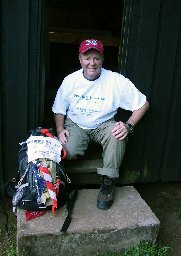 Kilimanjaro in Tanzania to raise money for the Juniata Valley Council, BSA. 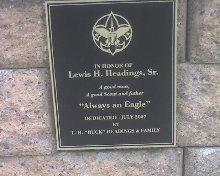 Lewistown friend of Scouting "Buck" Headings generously donated a new parade field for Seven Mountains Scout Camp in memory of his father LH Headings, Sr. 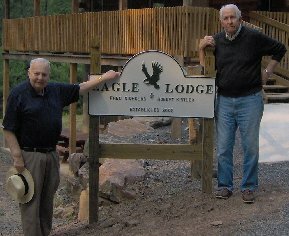 In July 2006 the Juniata Valley Council dedicated Eagle Lodge, a gift from State College businessman Fred Nicholas and attorney Robert Kistler. The Building features 2 levels accommodating 64 total people with bunk sleeping, a kitchen and shower/restrooms. 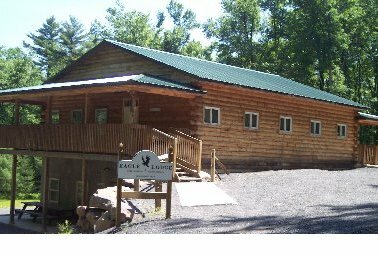 The Juniata Valley Council, BSA Seven Mountains Scout Camp has several items on our "Capital Needs & Wish List." including building and depreciable. 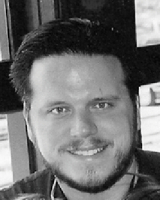 Opportunities exist for honoring individuals and boninesses. Contact Jim Kennedy for more information. Replace "Pioneer" Cabin with multi-level/ facility. Dorm style sleeping accommodations for 60. Lower level would accommodate conference/eating area. Provide conference facilities during off season and staff housing during summer camp. Multi-purpose facility to house Council Offices, camp administrative services (office, health services, and Scout Shop) conference area, and house weekend volunteer Campmasters. Multi-level structure to replace the existing "Brown" Maintenance Building. 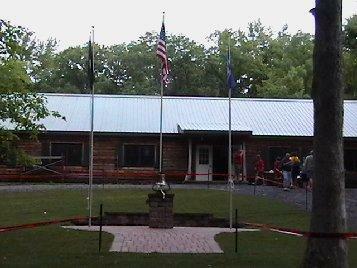 New structure would feature Ranger Office, Guest Restroom facilities, area for vehicle storage/repair, and wood shop. Upper level would feature "drive in" ability for program/ supplies, tent storage and repair. Build a 1,500 square foot addition onto the existing Nature Lodge deck to accommodate 50-75 participants, permanent displays and year round use. Replace and increase lighting in main camp parking lot for safety and security.